An economical dumbbell set! 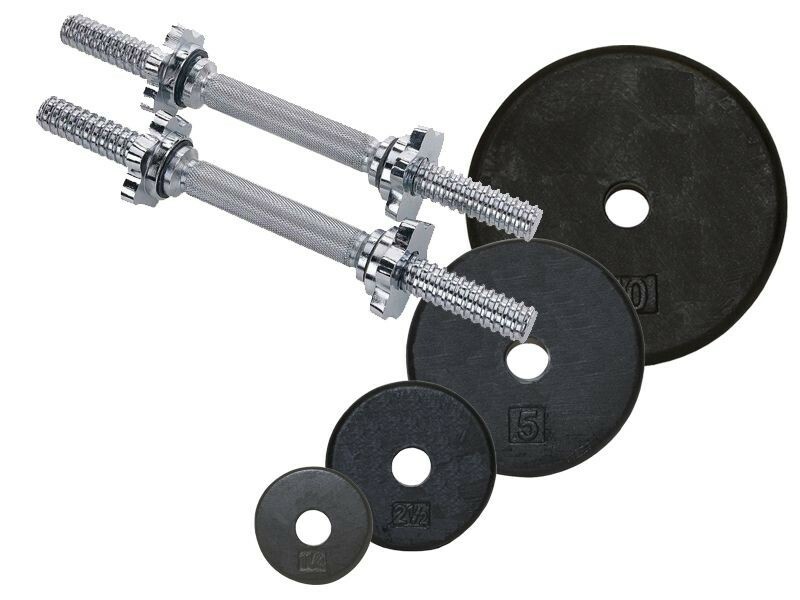 This set includes only 10-lb and smaller standard weight plates, because larger plates become too unwieldy for dumbbells. We call it a 5-40lb set for simplicity, but you can actually load each dumbbell to 42.5 lbs. These are solid steel dumbbell handles weighing 5 lbs each, not the flimsy hollow pipe version found at department stores that only weigh about a pound each. Also see our article on the best adjustable dumbbells where we review this and aother models.